Things keep getting uglier and more complicated at Syracuse. On Sunday, Bernie Fine was fired after a third man accused the long-time assistant coach of molesting him nine years ago. 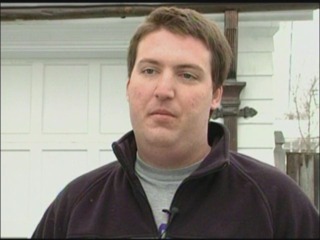 He was the third accuser to come forward in the investigation of child molestation allegations against Fine. 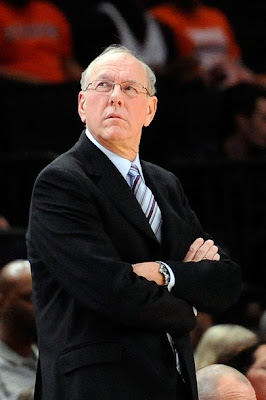 Syracuse coach Jim Boeheim went into full-retreat and c.y.a. mode saying he supported the university's decision to fire his longtime assistant and expressed regret for his initial statements that might have been "insensitive to victims of abuse." In an interview the day the reports of Fine’s abuse first aired with the Post-Standard, Boeheim attacked Davis' reasons for going public with his accusations. 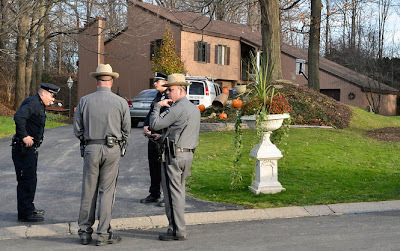 Unlike the Penn State case, things aren’t as simple as they seem. The original accuser, Bobby Davis, has revealed that he had a sexual relationship with Fine’s wife Laurie and that she knew about the abuse. The third accuser Tomaselli faces sexual assault charges in Maine involving a 14-year-old boy and Tomaselli's father maintains his son is lying. Tomaselli said the scandal at Penn State involving former assistant football coach Jerry Sandusky prompted him to come forward. He told the Post-Standard he met Fine after he and his father, Fred, attended a Syracuse autograph session on campus in late 2001 and that Fine later called Tomaselli's parents to arrange for Tomaselli to go to Pittsburgh with the athletic department staff on a chartered bus, spend the night in Fine's hotel room and attend the team's game on Jan. 22, 2002. 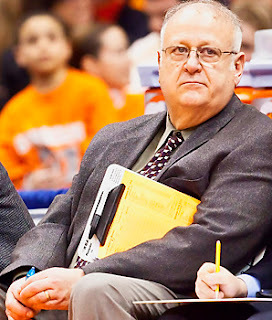 The Post-Standard also reported that Zach Tomaselli was invited by Fine to a party at his home after the Syracuse-Pitt game on Feb. 1, 2003 -- a game where Zach Tomaselli said Fine arranged seats for him and his father several rows behind the bench. Good luck, sorting all that out.